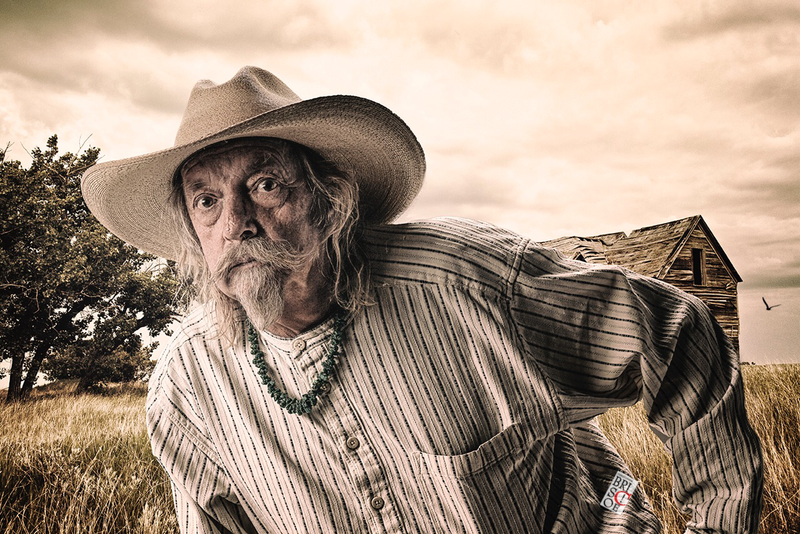 Near the top of the Siskiyou Mountains in southern Oregon, there’s a cowboy named Terry, who lives alone with his dog, Maggie. Brand New Baby and a Brand New Daddy. In 1980, Rick Smolan, a photojournalist, wanted to compile A Day in the Life of Australia, a book of images shot by 100 photographers in just 24 hours. That amazing project lead to many books, documenting a single day in countries around the world. One of the by-products was an Oregon book project in 1983 called One Average Day. About 90 photographers from around the state documented a day in the life of Oregon. I was chosen to be one of them. Fast-forward 30 years when a University of Oregon grad student, Brian Burk, stumbled upon the book in a used book store. His brain exploded with ideas then contacted the Oregon Historical Society for the backing and got the ball rolling. Burk assembled about 170 photographers from around the state to participate in Dayshoot30. I was grateful when I was invited to be one of the original photographers for this project. KOBI in Medford asked me talk about the project. 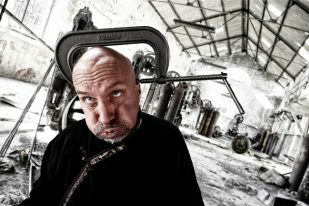 Check out this story by KOBI-TV: Mike Porter & Chris Briscoe – Dayshoot30.org. I’d been wanting to meet Sal for a long time. Twenty minutes later, after a long trip up Canal Street, I found his tiny shop and parked in front. As soon as I stepped through the door, I thought I might be on the set of Storage Wars, looking into a room filled with piles of decaying wooden instruments. 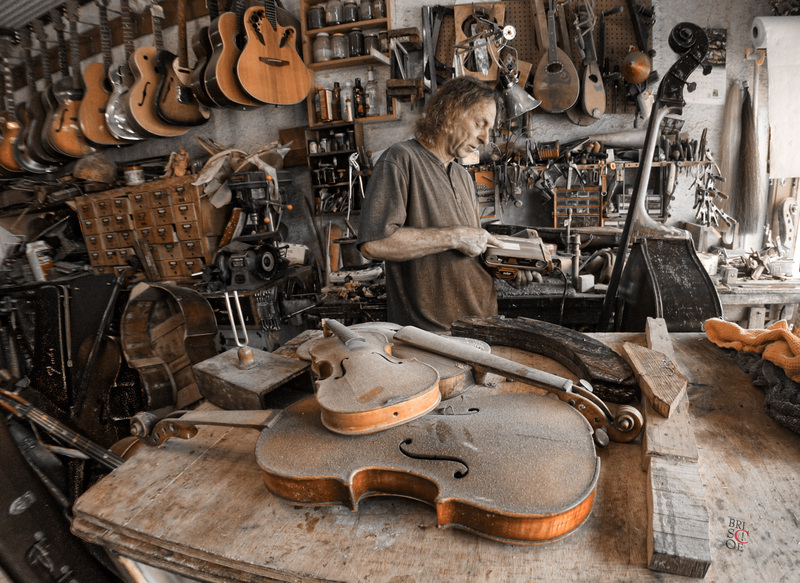 I stood in wonder, trying to make sense of it all, scanning the walls where violins, guitars, mandolins, tools, bottles of glues, stains, and violin bows: all in various condition, all covered in a thin blanket of sawdust, and all waiting to be restored by Sal. Sal greeted me with the warm, sandpapered hand of a craftsman. He smiled, standing behind a cluttered counter, working on the bridge of a splintering bass, with the focus of a man who loves his work. To his back was a workbench littered with a hodgepodge of tools, parts, and scraps of wood. A boiled-over can of blackened glue sat on top of a rusting hotplate. Sal’s weathered face and long hair reminded me a little of Neil Young, his skin a bit sepia-toned, aging like the rest of the orchestra lining the walls. Taken for a newspaper story I did in the 1980’s about a class reunion at the Pinehurst School. Pinehurst, in the area known as Lincoln, was one of the small sawmill towns along an early stagecoach and wagon freight route between the Rogue Valley and the Klamath Basin. This road, also known as the Green Springs Highway, was the original route of the Applegate Trail. 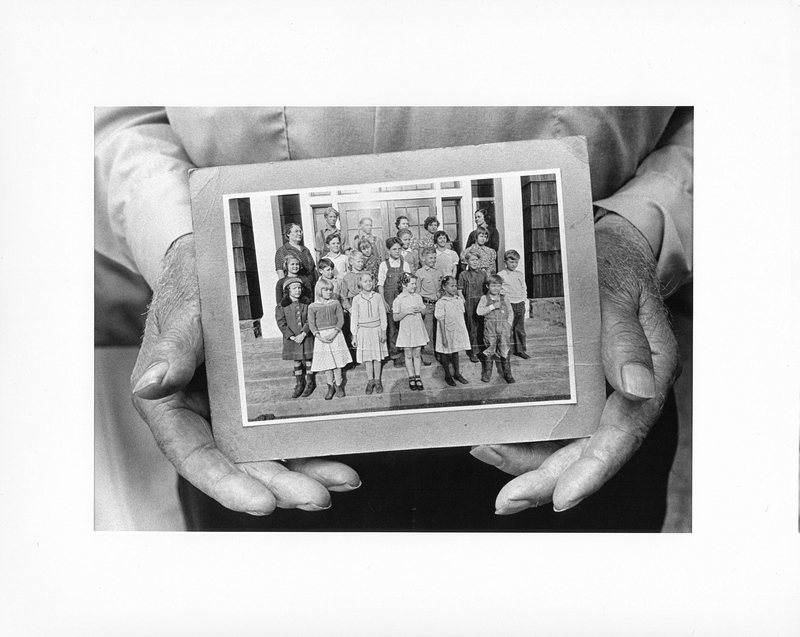 This image is a part of my book titled HANDS. When was the last time you danced in the soaking rain…during a funeral? Everyone in New Orleans has a story. That’s why I authored Bathtub Blues. Bathtub Blues is a photographic journey through the back streets of New Orleans. It is also an exploration of the creative process. Through insightful conversations and revealing portraits, Bathtub Blues explores how post-Katrina artists and musicians who survived the hurricane – and chose to stay – turned their inspiration into art … New Orleans Style. 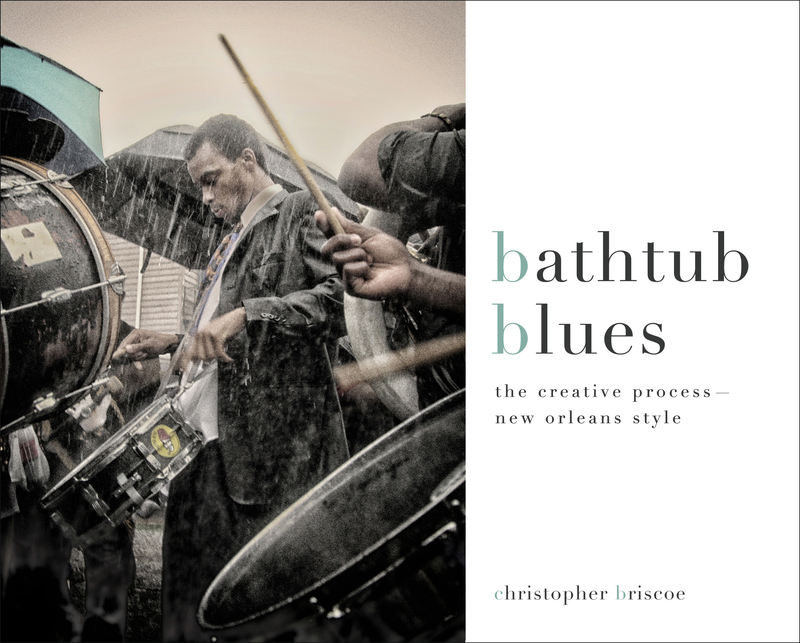 Christopher Briscoe’s new book, Bathtub Blues. The first is vision: The ability to see the quintessential elements in any circumstance and react by framing the shot accordingly as well as being able to peer into the future and plan accordingly. The second essential quality is passion: A fierce, unbridled desire to keep at the task until the perfect image is captured. The third quality is courage: The ability to walk the plank and jump into a sea of possibilities that are infinite, yet without any guarantee of success. Briscoe is right about these basic qualities, especially as it relates to photojournalism. 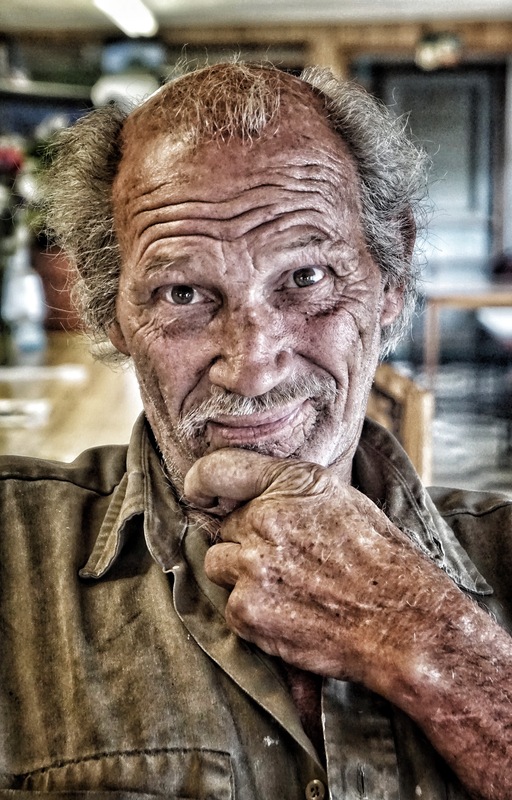 As photojournalists we must have vision, passion, and courage to endure in an increasingly creative world. 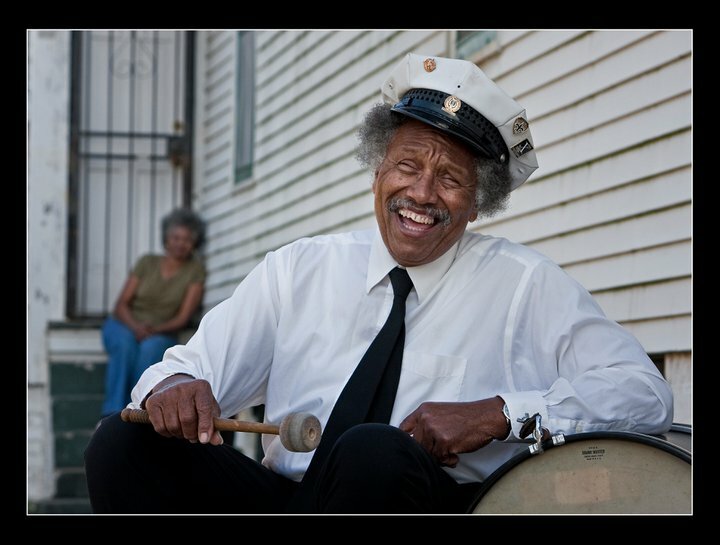 Lawrence Batiste is one of my favorites in my book, Bathtub Blues.